1. Pre heat oven to 200 degrees. 2. 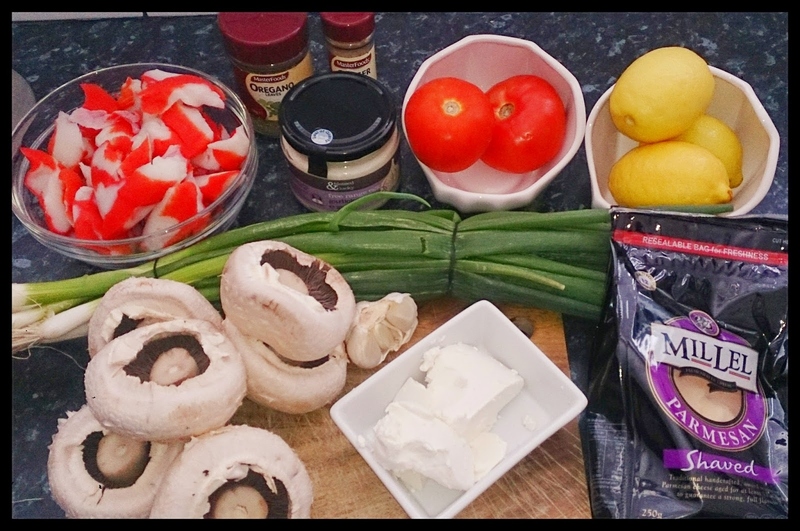 Combine all ingredients into a large bowl except the cheese than refrigerate to keep cold for around 10 minutes. 3. Give the mushrooms a rinse under water, than take the stalks out. 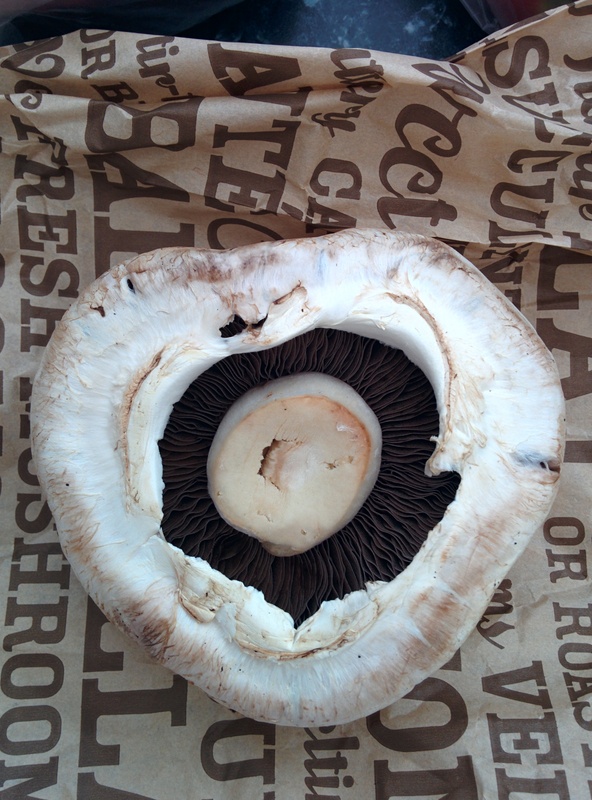 Add a splash of extra virgin olive oil all over each mushroom so it doesn’t dry out. 4. 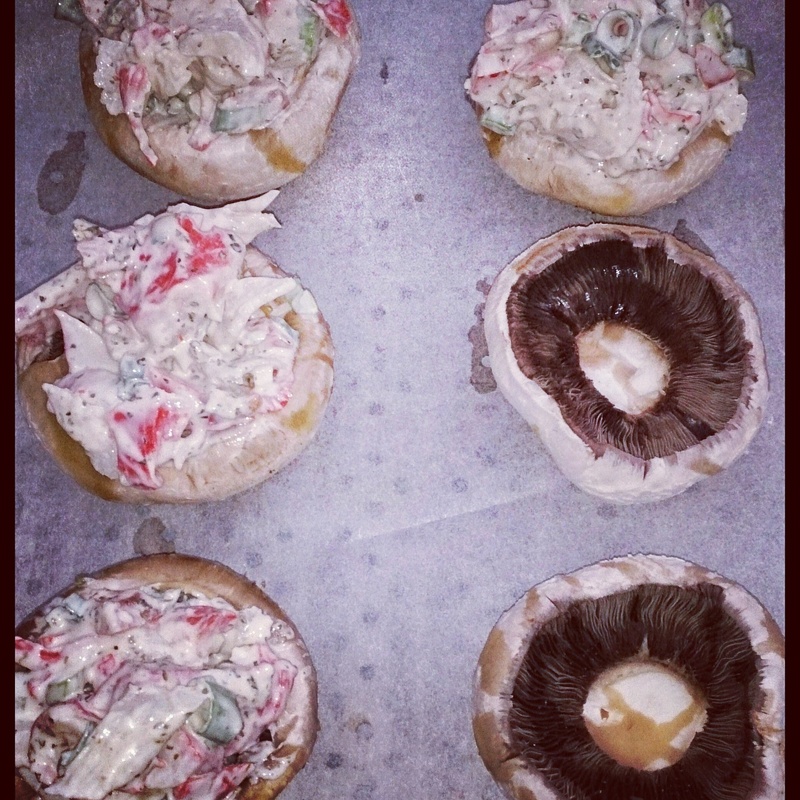 Remove the bowl from the fridge, carefully spoon some mixture into each mushroom cup. (approx 2 tbsp) Add some Danish feta crumbled over the top with some shaved parmesan as well. 5. Turn oven down to 170 degrees now, bake in oven for about 12-15 mins or until golden brown. 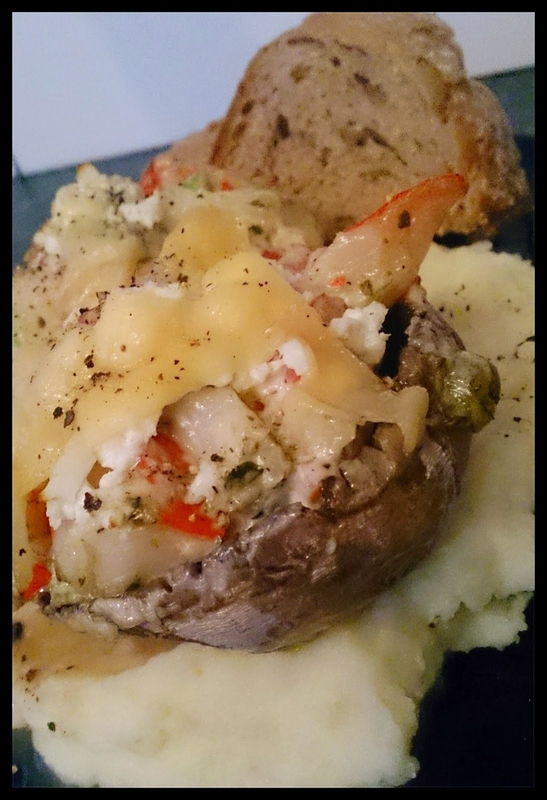 Posted in DinnerTagged baked not fried, crab, mushrooms, stuffed mushroomsBookmark the permalink.